Thronebreaker: The Witcher Tales launch on consoles! Thronebreaker: The Witcher Tales is now available on PlayStation4 and Xbox One! The game can be purchased right now on the Microsoft Store and PlayStation Store, and comes packed with digital goodies (click here for details). The game is also available on GOG.COM and Steam. 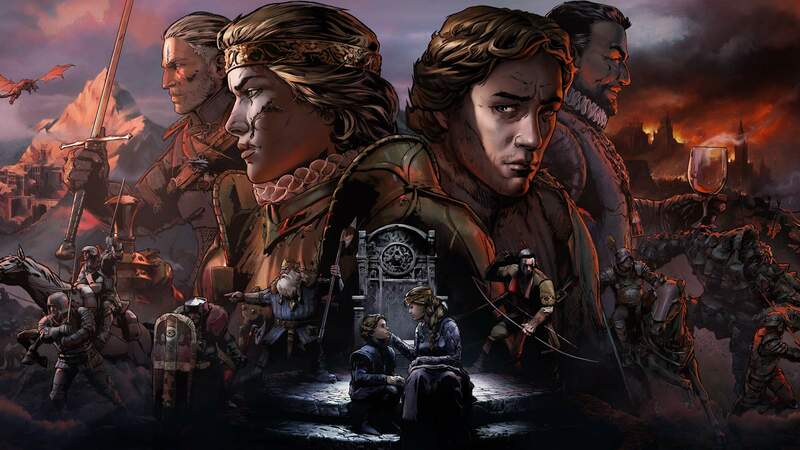 Thronebreaker is a role-playing game set in the world of The Witcher which combines narrative-driven exploration with unique puzzles and battles. You can find out more about the game on www.witchertales.com. © 2018 CD PROJEKT S.A. ALL RIGHTS RESERVED. CD PROJEKT®, The Witcher®, GWENT® are registered trademarks of CD PROJEKT S.A. Developed by CD PROJEKT S.A. game is set in the universe created by Andrzej Sapkowski. The Witcher (R) is a trademark of CD PROJEKT S.A. The Witcher game (c) CD PROJEKT S.A. All rights reserved. The witches game is based on the prose of Andrzej Sapkowski. All other copyrights and trademarks are the properly od their respective owners. Not like it changes anything, but we are obligated to inform you that we are using cookies - well, we just did.